This blog post is part of a paid SocialMoms and RESCUE blogging program. The opinions and ideas expressed here are my own. I have two kiddos, a busy husband, a noisy dog, a hectic schedule, and a part time job blogging. Life can get chaotic and stressful at times. That's normal, that's life. Stress is something everyone deals with. And we all have different ways that we go about relieving it. Here are some tips I think help relieve stress and please feel free to share some ways that help you in the comments below. 1. Bubble Bath. With bath salts and aromatherapy like Lavendar. Mmm...this is my happy place. This is my number one way I love to relax. I once was not a bath person, but since having my son, I have become one. 2. Yoga...or Pilates...really any sort of exercise can be relaxing because it releases endorphins and endorphins make you happy. Thank you, Legally Blond. 3. Meditation. Although quiet time can be hard with kiddos running around, if you can find the time I hear it helps. I tend to not find enough quiet time to meditate, but my friend who works out of the home likes to meditate in her car before she gets out of her car when she goes into work and then at the end of the day before she makes the long trip home. 4. Indulge in a massage or ask Hubby for one. I pay to get the extra massage when I go get a pedicure. It really is relaxing, certain spots though I am a little ticklish...which brings me to my next point. 5. Laugh. No really. My mom always said when you feel like crying, sometimes it's best to just laugh. This philosophy really helps when you have kids. 6. But what about on the go? 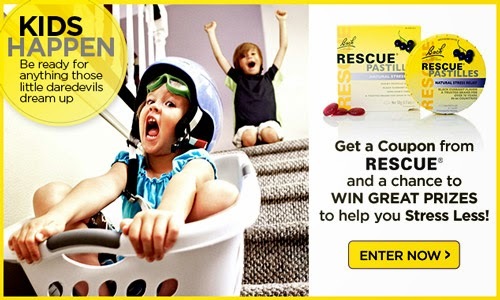 RESCUE Products are a natural, homeopathic way to help you stress less and stay calm even on the go. Trusted for generations and used by millions worldwide. RESCUE stress relief products are available now in the US at CVS, Walgreens, Whole Foods, & wherever you find natural products. You can try it now with a BOGO coupon available HERE or click the banner below. Also by filling in the coupon form, you will be entered in the RESCUE #StressLess2BMyBest sweepstakes which includes great prizes from Bose and GoPro! Make sure to follow RESCUE on Facebook to keep up to date socially! 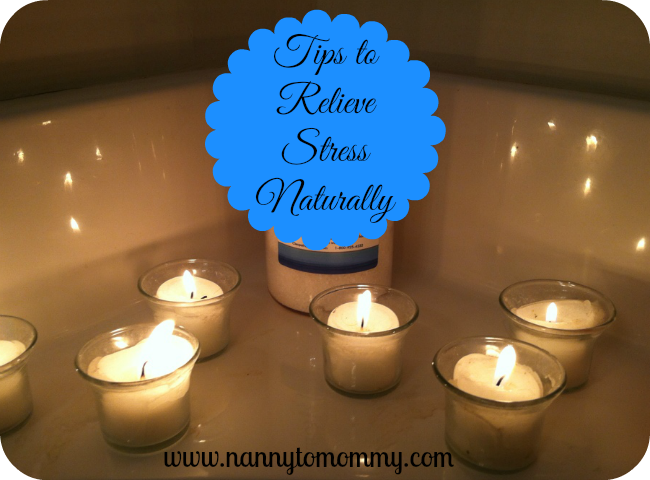 What ways do you relieve stress naturally? What do you think of RESCUE? I'd also vote for the rescue products too. My friends daughter uses them to relieve travel sickness where she used to get really nervous and worked up at the prospect of travelling. Being a mom is indeed difficult but it's all worth it! Thanks for sharing these ways on how to avoid stress, Will try them. Oh laughing is definitely the #1 medicine. Sometimes, when my bf and I argue, I laugh. He hates it, but it immediately releases the tension in my body. Massages are an incredible way to relieve stress too. Also, lavender essential oils help with stress relief, which you mentioned in #1. I LOVE your picture here. It makes me want to go take a candle lit bubble bath hehe.